DIY Network is conducting a nationwide search for the ugliest front yards in America. One of these yards will be chosen for a huge two-day landscape transformation for America’s Most Desperate Landscape. Do you have one of America’s Most Desperate Landscapes?? 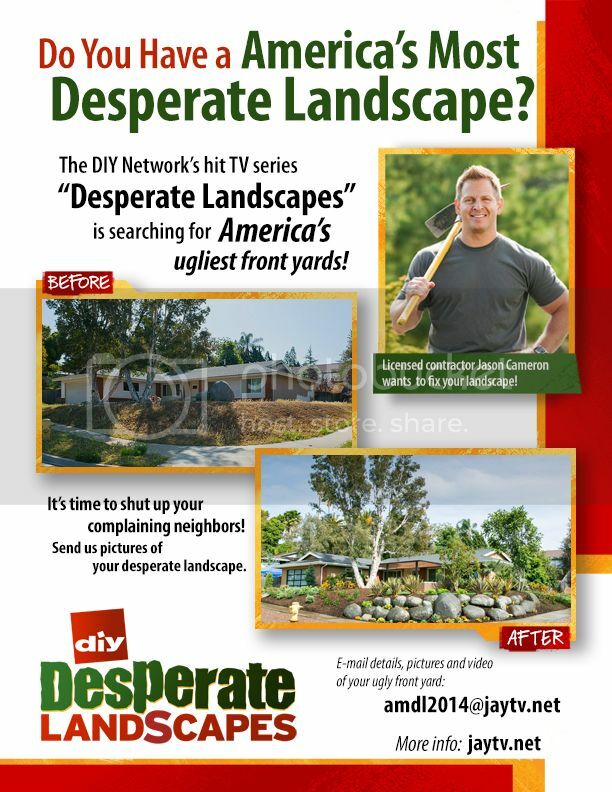 Send in a video and pictures of you and your very desperate front yard for a chance to be chosen for a makeover! To learn more click on the link for the Casting Call Flyer below. Also be sure to check out JayTV for applications and tips on making a great entry video. P.S. I am not receiving commission or any other items in return for this post. I am just a huge fan of DIY Network and I wanted to share this amazing opportunity with my readers.